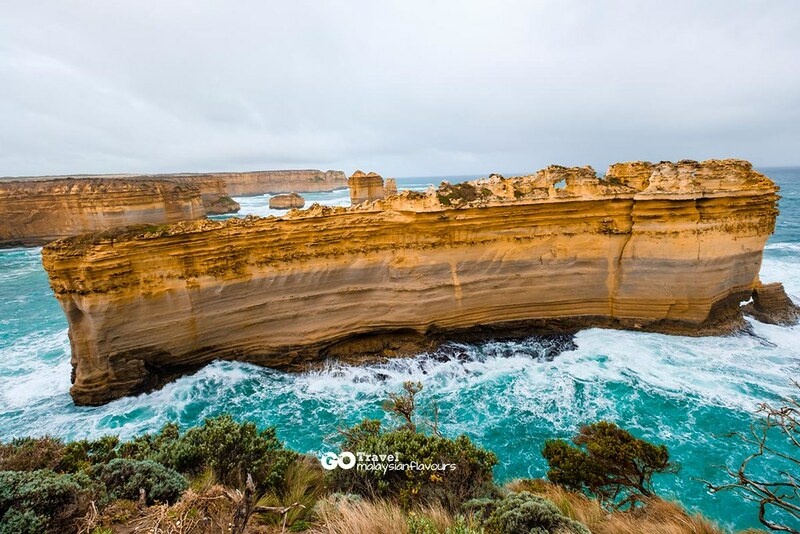 Great Ocean Road – probably the most spectacular coastline in Australia, featuring famous tourist attractions such as 12 Apostles, Erskine Falls, Lord Ard Gorge, The Arch, Gibson Steps and more along the way. 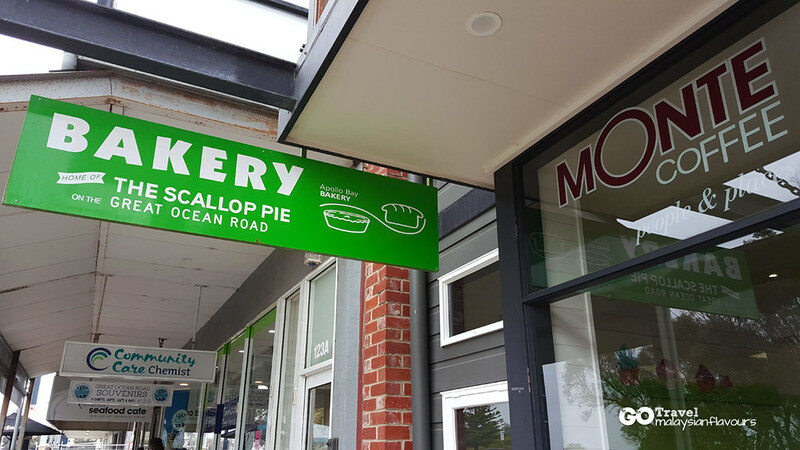 Not to forget, scallop pie at Apollo Bay Bakery is must try! 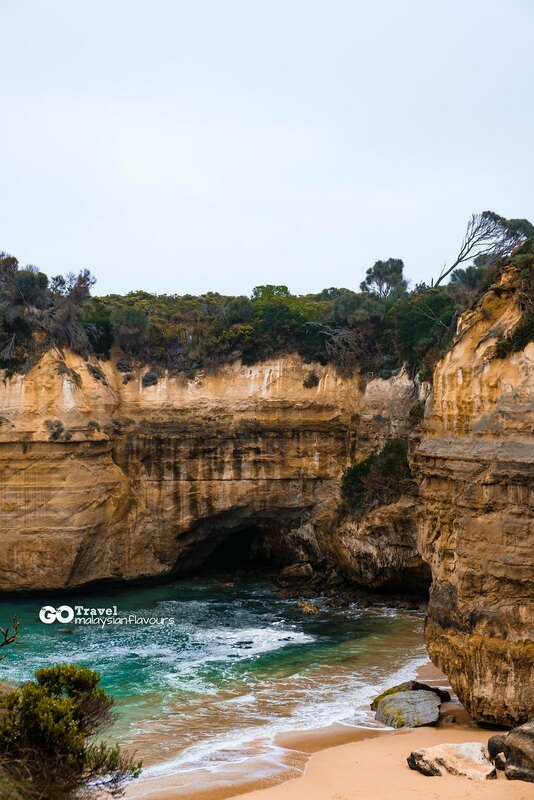 It is also rated as one of the best routes for coastal road trip in the world, so no matter you are visiting Great Ocean Road by renting a car and drive on your own; or booking a tour and travel with new buddies, you won’t be disappoint with the incredible natural wonders in this place. 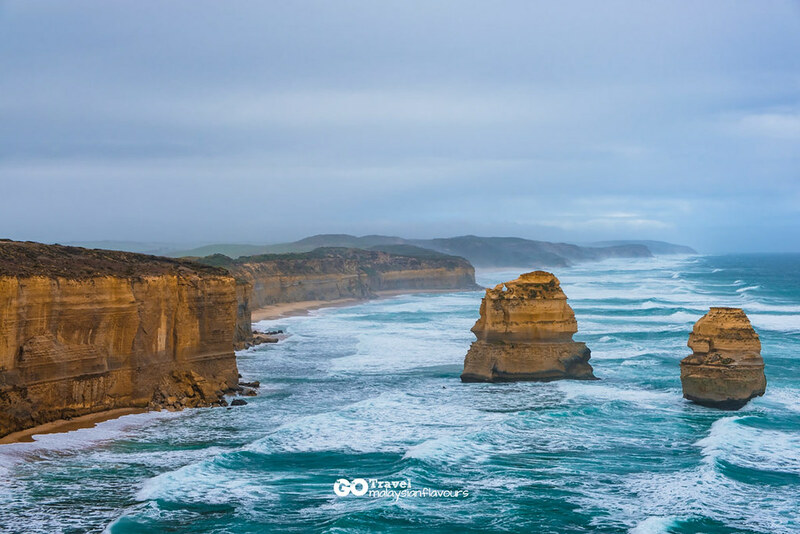 The Great Ocean Road lies in between Melbourne and Adelaine, so if you are planning to visit these two cities, it is highly recommended to include The Great Ocean Road into your itinerary. In case you wonder which one is closer, it will be Melbourne . 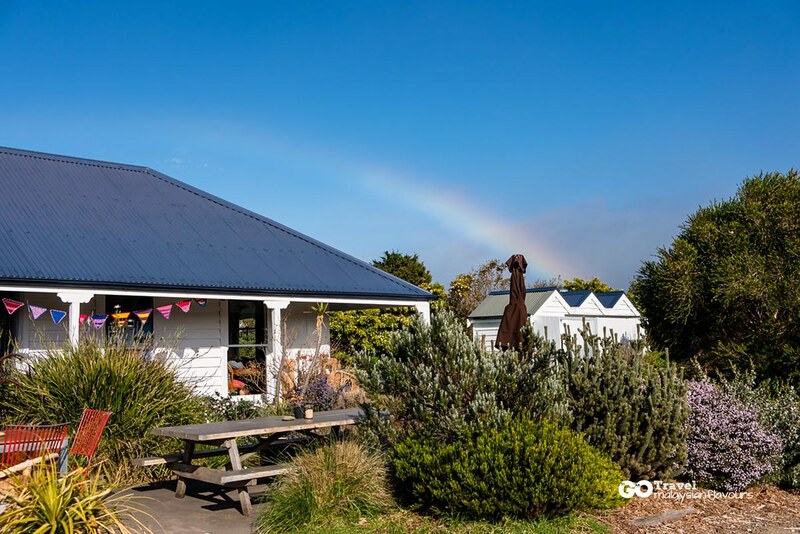 It takes only about 90 minutes from Melbourne city to the starting point of the road trup – Torquay. 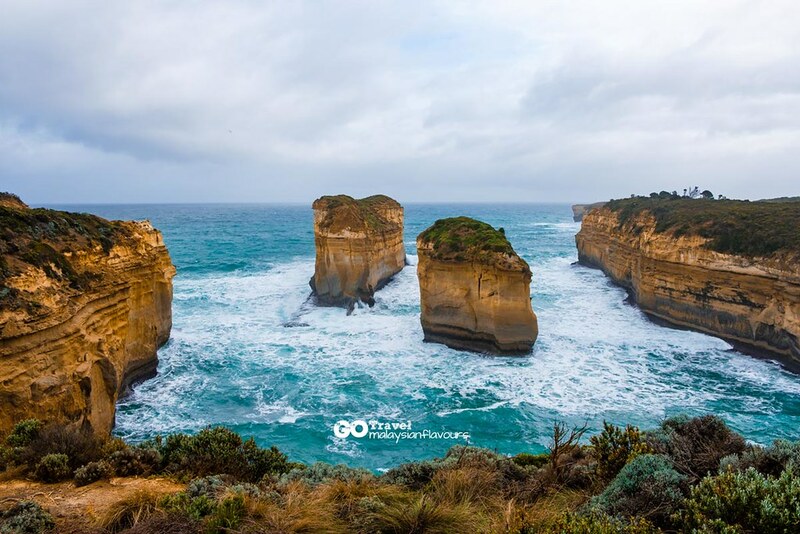 We booked “1 Day Great Ocean Road Tour” with Micropath during our 5D4N trip to Melbourne. Spent a day with 4 travellers from Hong Kong. 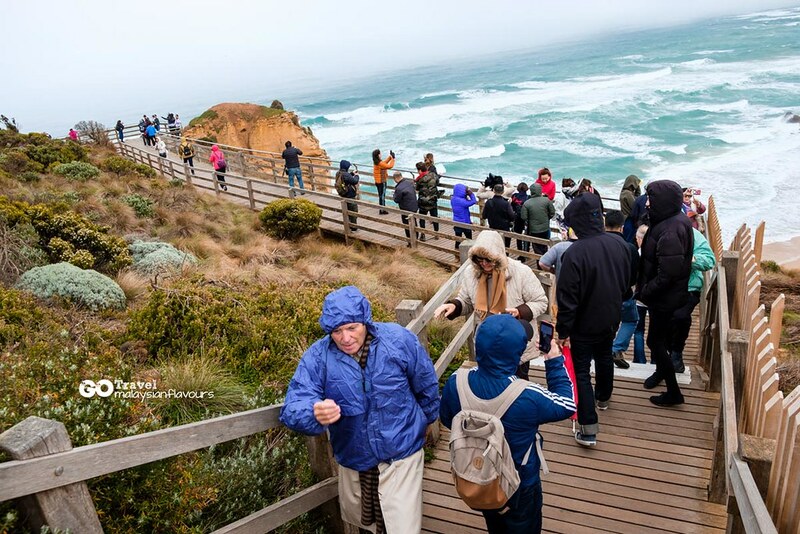 Our tour guide, Michael is a very cheerful person, and explained a little to us about the history Great Ocean Road. 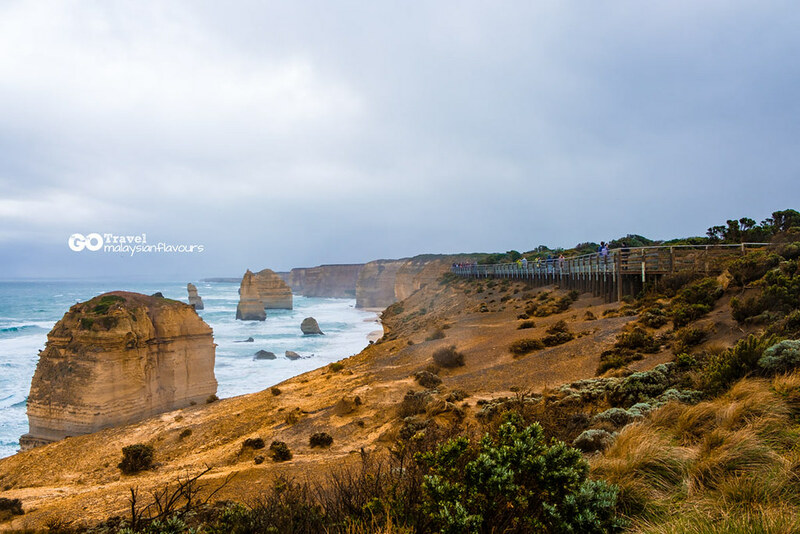 Stretches over a journey of 241KM, the Great Ocean Road is more recognized as a must-visit attraction in Australia by now, but it is actually a historical, meaningful road that is built to commemorate the services of those who served in World War One. It is said to be the largest war memorial in the world, carved out of cliffs using only shovels, picks and horse-drawn cart. 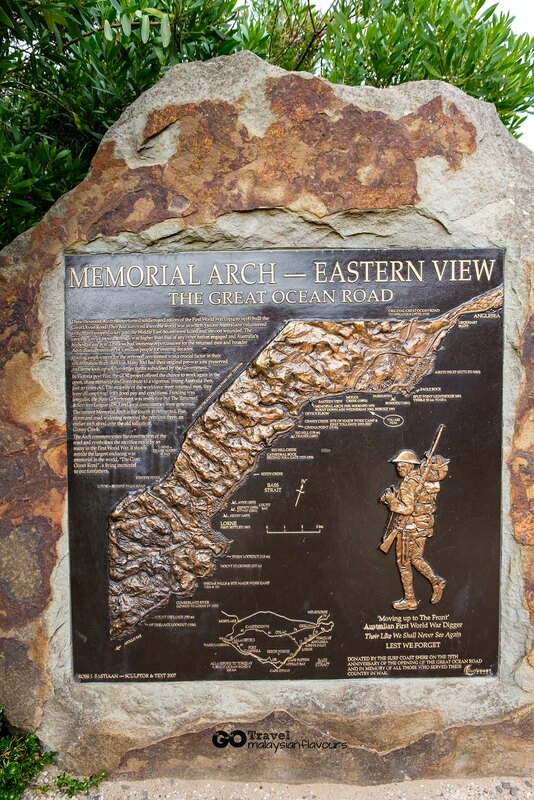 It took more than 10 years to complete, involving 3000 workmen, where most of them are returned soldiers from WWI. 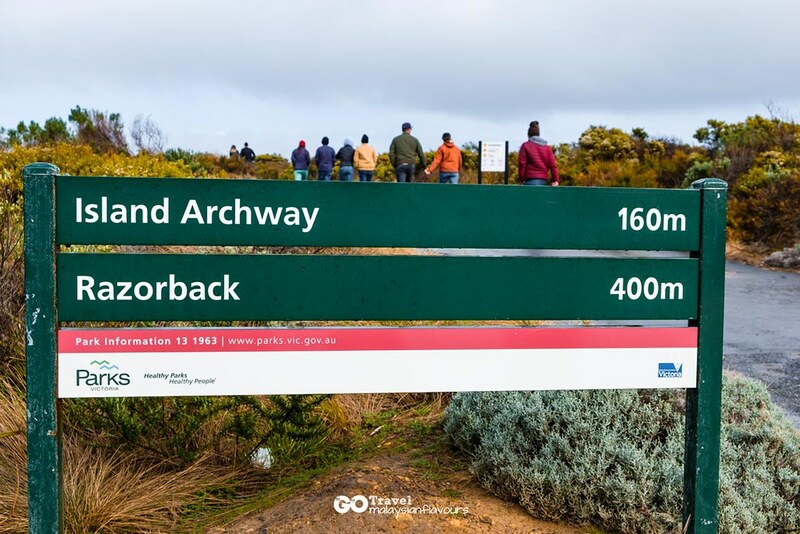 Beyond as a memorial and important Australian National Heritage, the completion of Great Ocean Road makes the South-West Coast of Victoria more accessible, linking settlements which were first connected by only rough tracks and dense bushes. 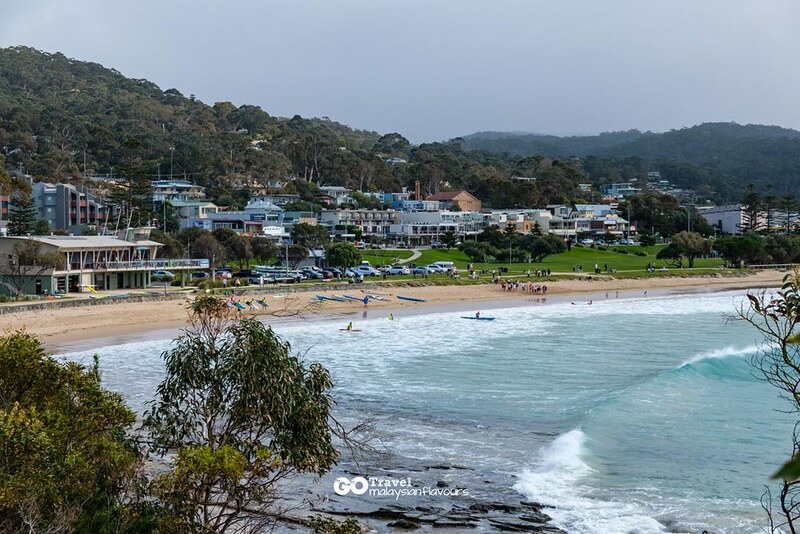 Of course, with improvement work and continuous maintenance, we get to embrace the beauty of Australia’s coastal line by driving on well-paved road now. 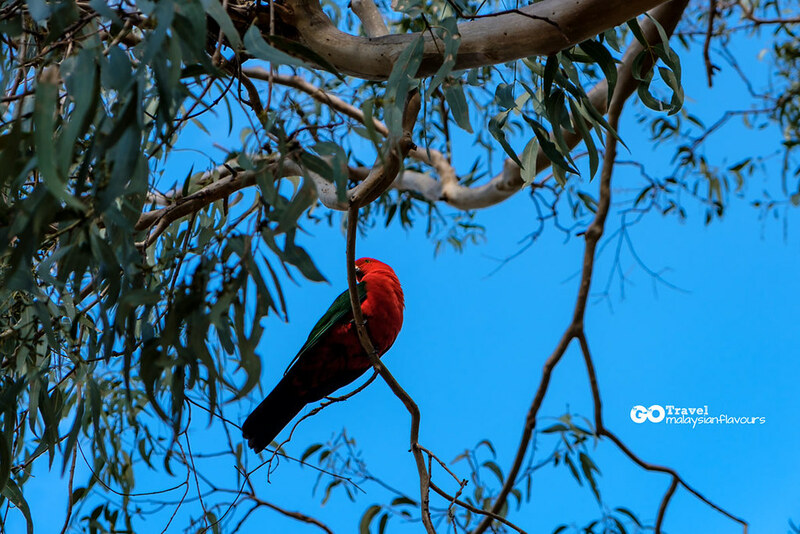 In other words, opening up better tourism opportunity for states of Victoria. We managed to visit only a fraction of them. 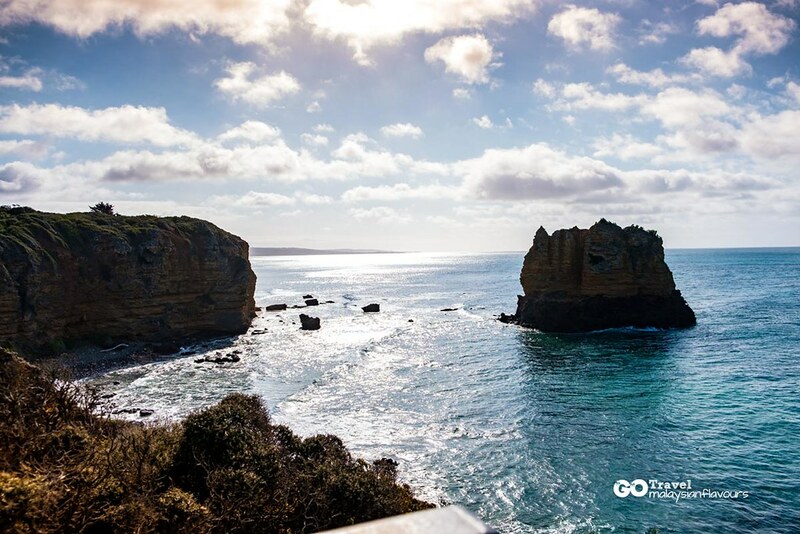 If you have more time, it is suggested to spend a 3D2N for Great Ocean Road. If you manage to squeeze out only 1 day like us, then depart early so that you can have more time to spare. Split Point Lighthouse, first stop of the day. 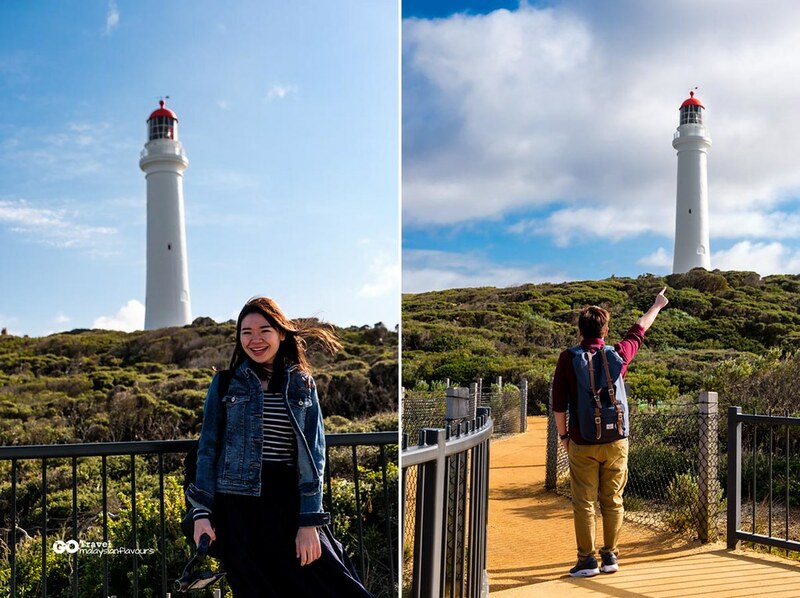 This 34-metres high lighthouse is built in 1891, known for its white tower with cute red cap. Our tour guide calls it “Little Red Riding Hood”. Lol. 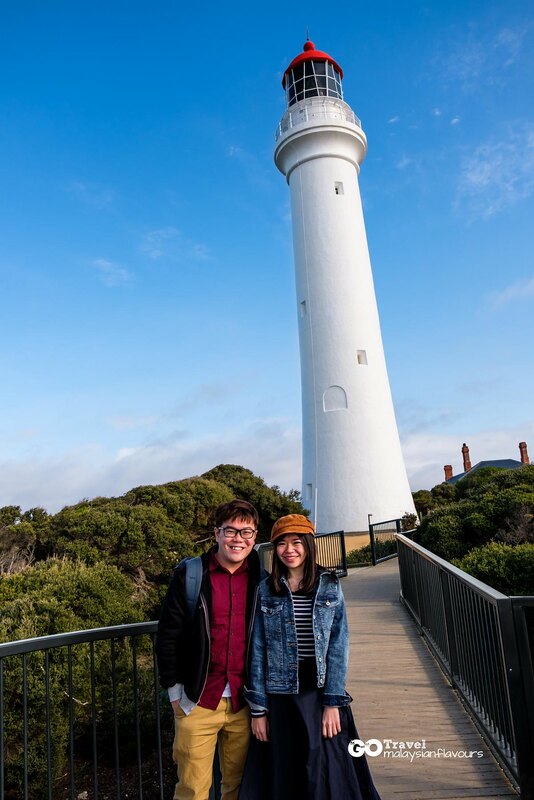 Split Point Lighthouse appeared in some of the scenes of a children’s TV program named Round the Twist, also in MASTERCHEF series 6, which added the fame of this lighthouse. 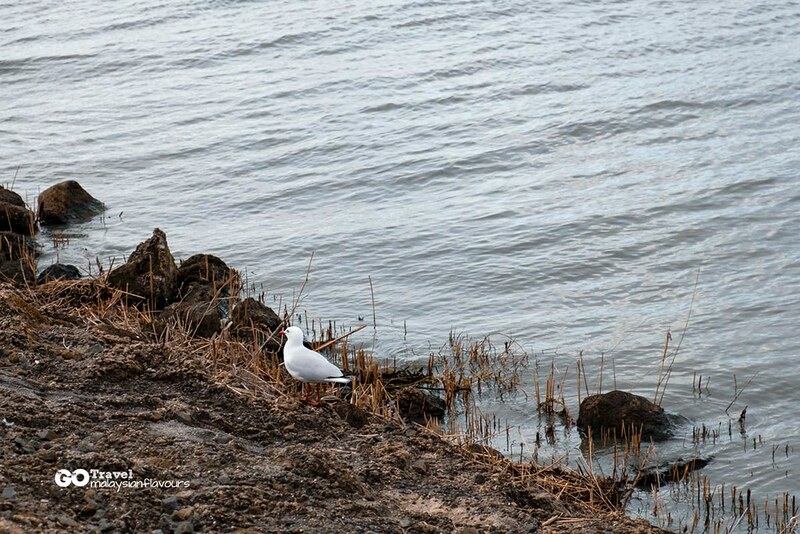 There is a guided tour runs daily by Split Point Lighthouse Tours at 11AM, 12noon, 1PM and 2PM. 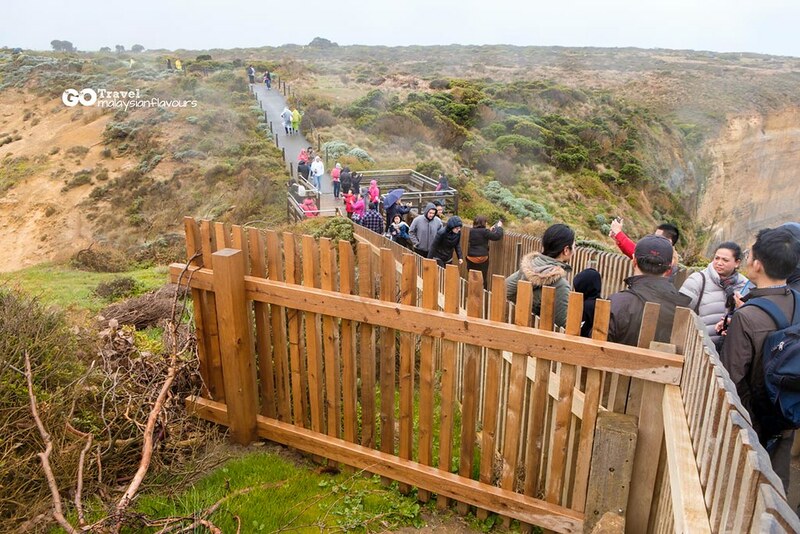 If you are interested to know more about life of maritime responsibility, the stories of lighthouse, and get an amazing 360-degree coastal views from the top of the lighthouse, this 30-45minutes tour is for you. Where to find this tour? Look for this countryside house with lovely garden! There’s a small cafe selling coffee too! 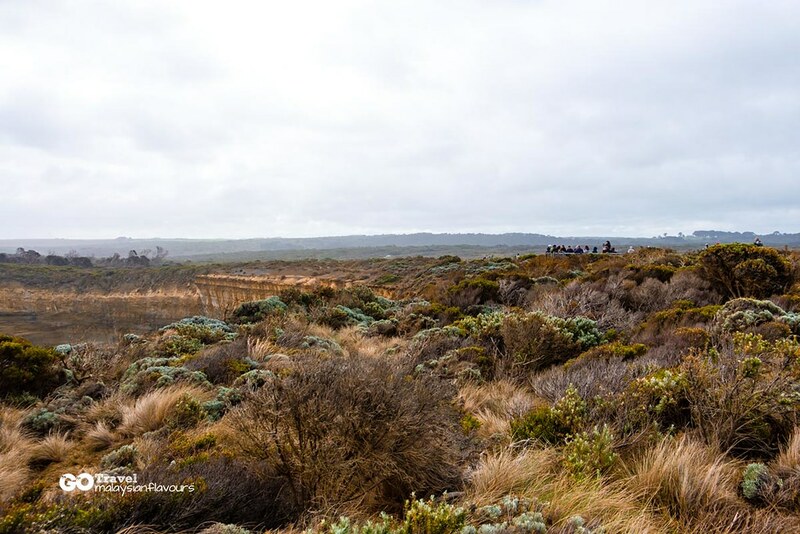 We went past the lighthouse, continued to walk on a winding path besides it and came to Split Point Lookout. OMG look at the magnificent ocean view! And yay! We saw Eagle Rock! 5. 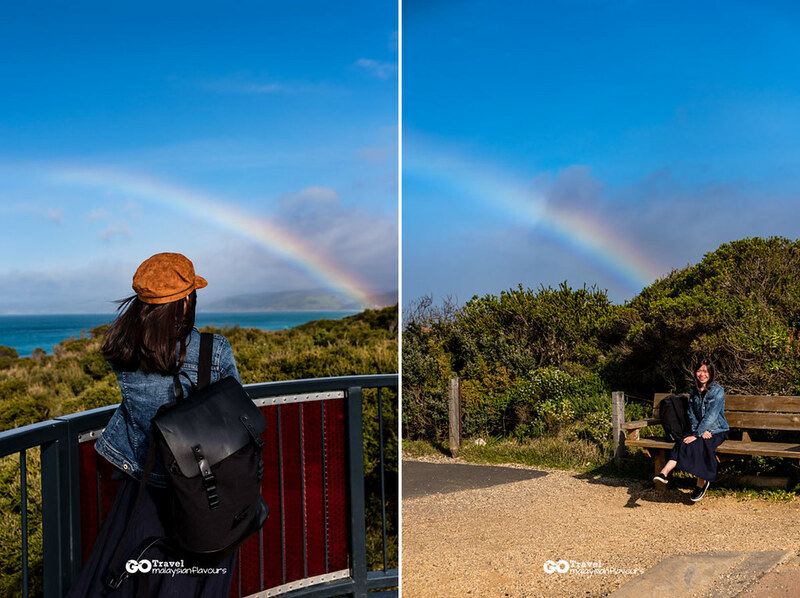 Feeling lucky with rainbows! Felt so blessed to see rainbow, not once, but twice in that morning. The whole compound is not very big but everywhere is picture-worthy. We spent an hour here, and hope to have another hour though. 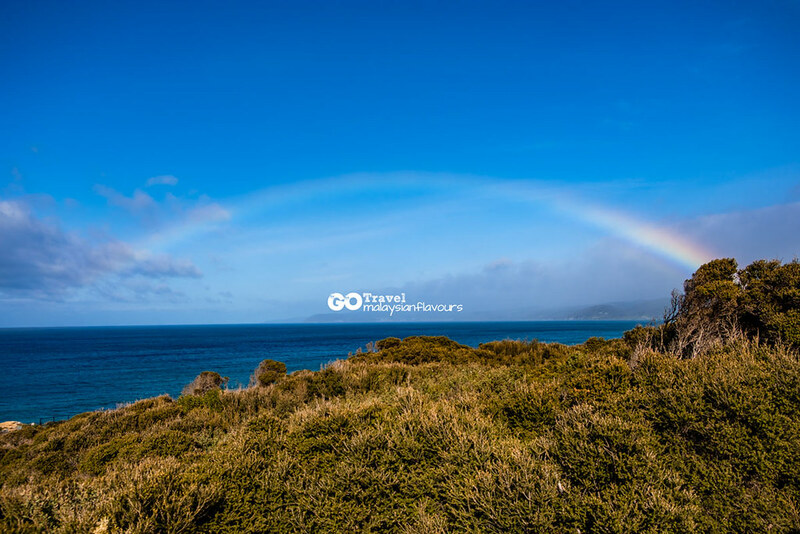 From Aireys Inlet, we headed towards Lorne, a seaside town with beaches, bushes, seaside- creating another amazing scenic view. 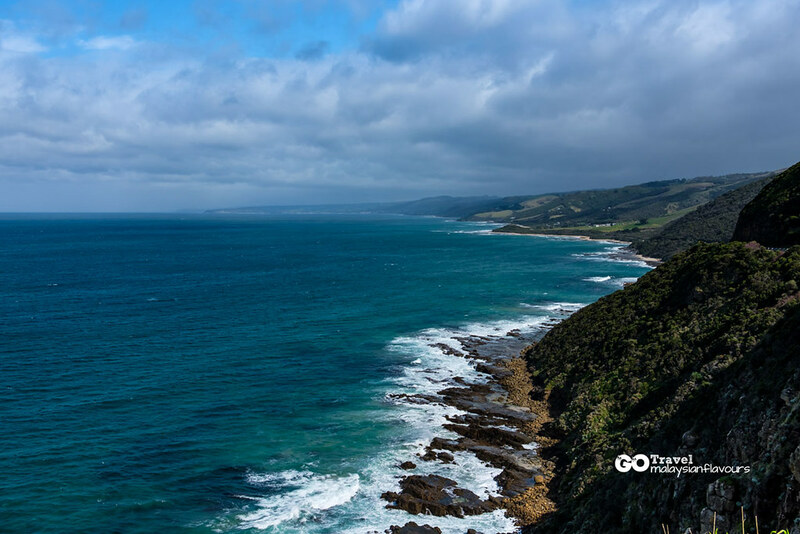 Then Torquay, the starting point of Great Ocean Road. 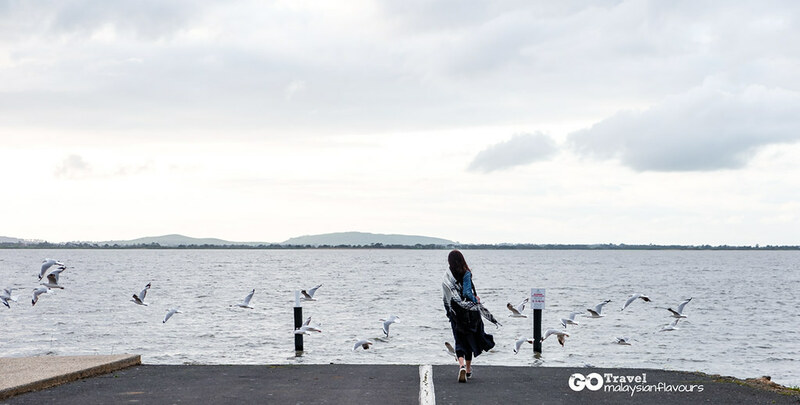 There are quite a number of stops where you can go down to the seaside and have some fun. 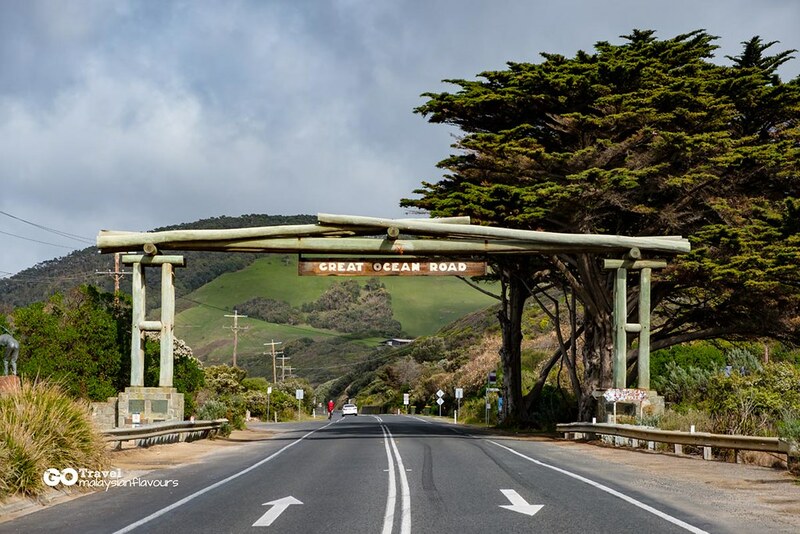 A road trip on Great Ocean Road is incomplete without taking a picture with the iconic Memorial Arch, an archway built as a memorial to the late Mr W.B McCormack, honorary engineer to the Great Ocean Road Trust, and soldiers contributed in the project. 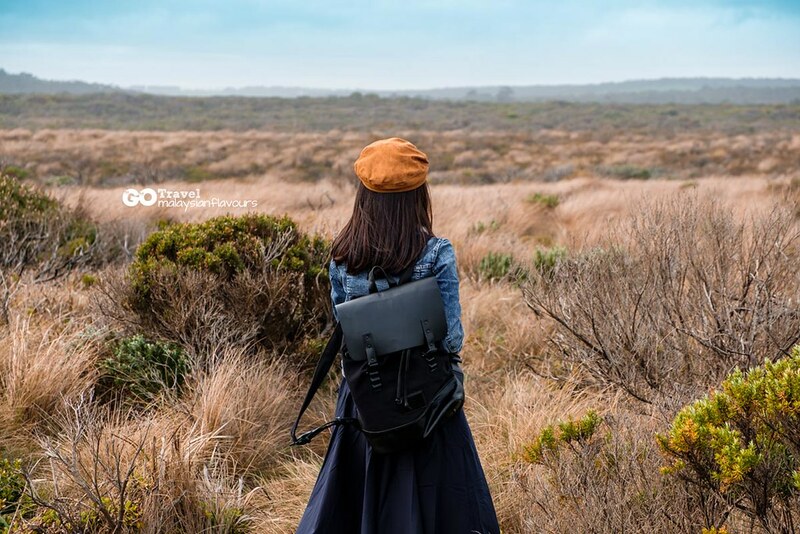 Eastern View VIC 3231, Australia. 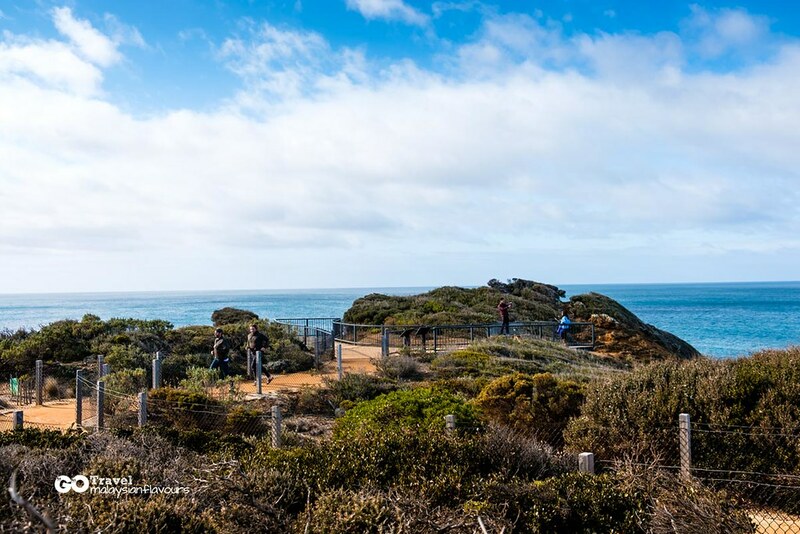 There’s a path right beside Memorial Arch, which leads you to the beach for more beautiful ocean view! Jump! Because Mr. Tour Guide suggested. Haha. Surfing is relatively popular in Torquay, which explains the row of surfing boards you can see from here. 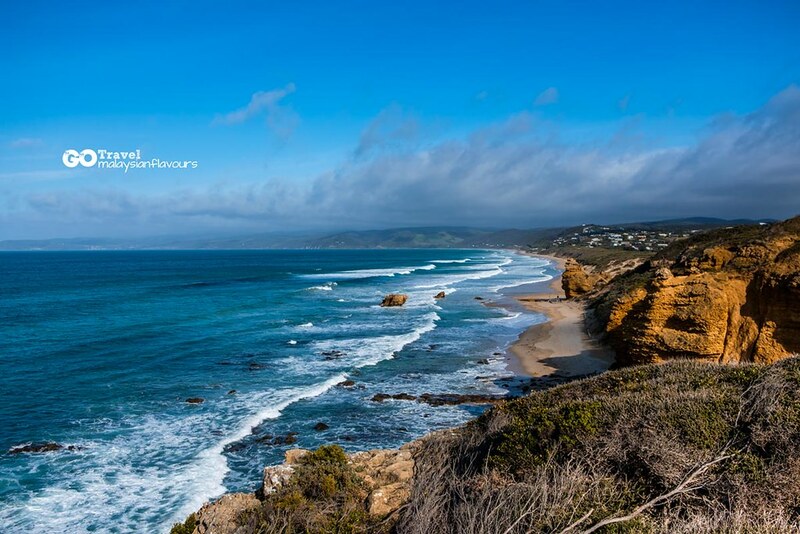 Bells Beach, which is near to Torquay, is one of the top surfing spot in Australia with international reputation. 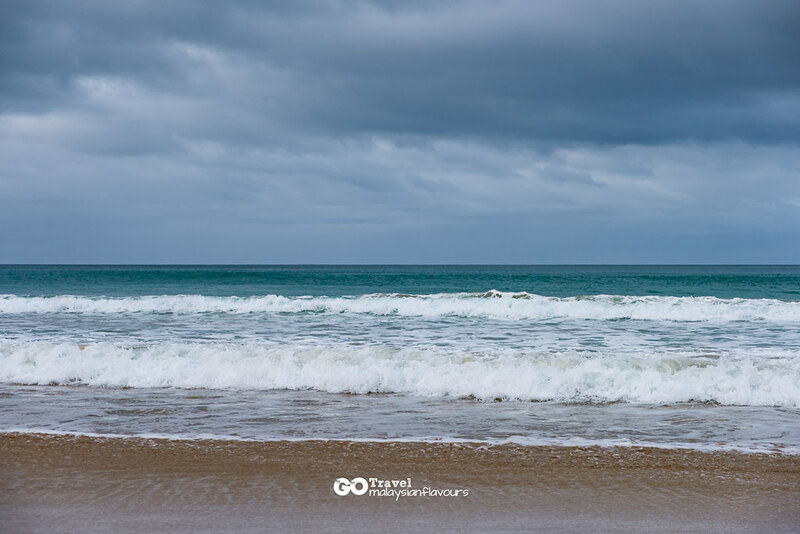 It is the birthplace to surfing brands like Rip Curl and Quicksilver, also the home for Rip Curl Surfing Competition, held in March every year. 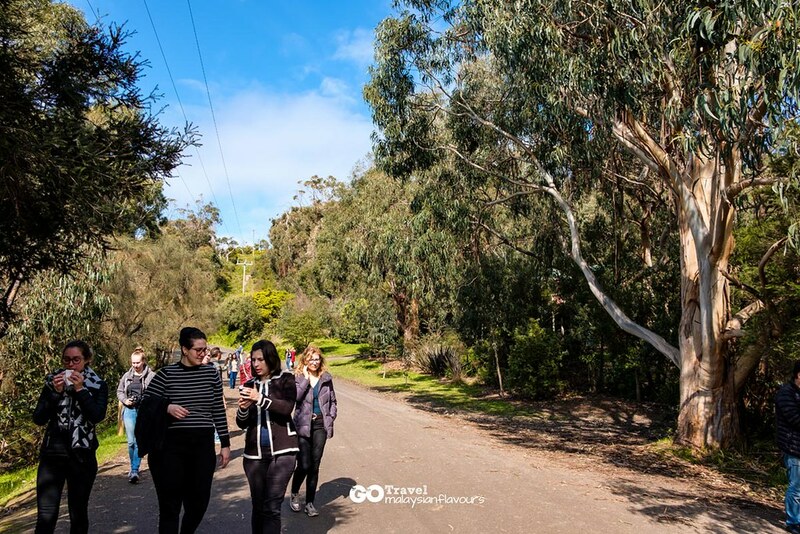 Enough of beach strolling and running, we moved on to another interesting attraction – Searching for wild koala at Kennett River Koala Walk. 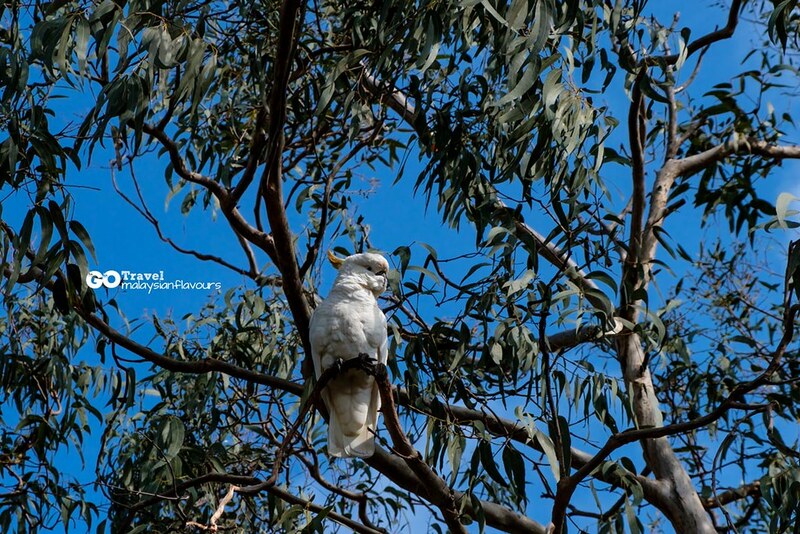 Just a short walk, surrounded mainly by gum trees at both sides – which added the chance of spotting a wild koala because this is where koalas live in, and their food is gum leaves! 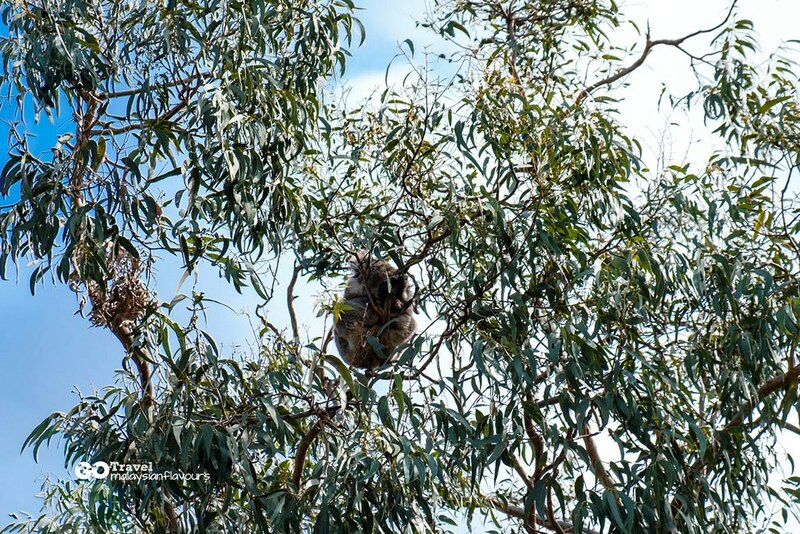 We didn’t spot many koalas, but considered lucky to see 3 ! They are all so cuteeee~~And also colourful parrots! Spotted one in striking bright red. Lol. 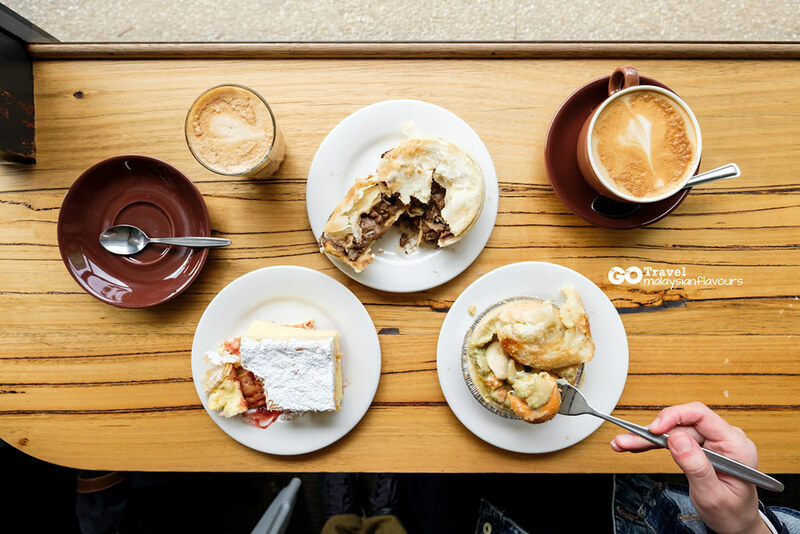 There is a cafe nearby so if you are feeling hungry, you can stop by for burgers, pies, coffee, ice cream, breakfast toast and so forth. Not too sure about the food quality and price though because we didn’t go in. 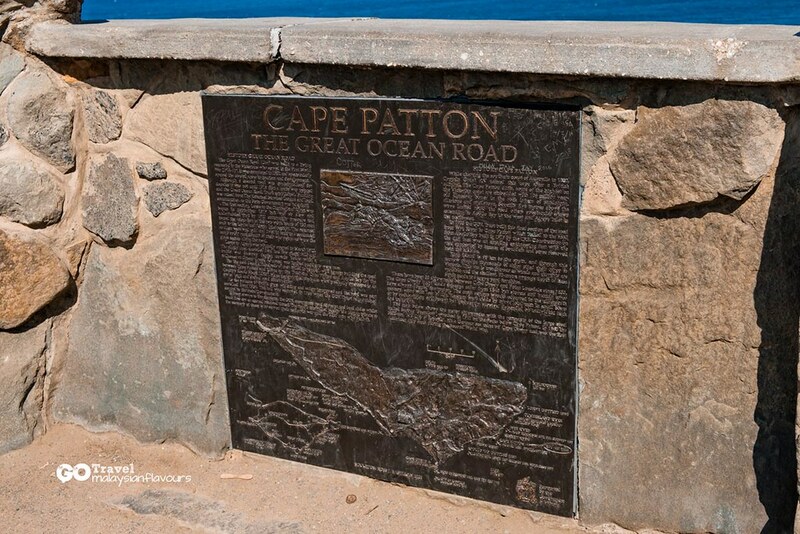 Capa Pattion Lookout, stopped here for 5 minutes to capture more spectacular coastal views. 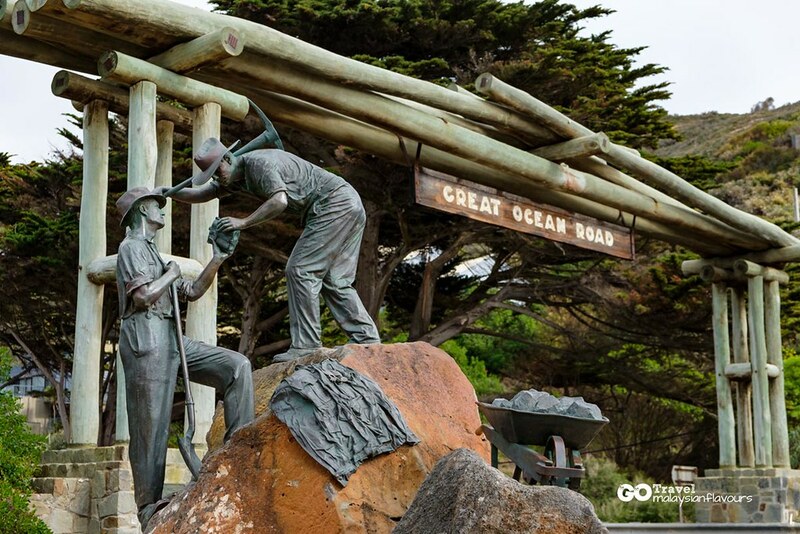 Along with Mount Defiance near Lorne, these two places are the highest lookout points on The Great Ocean roadside. Messy hair don’t care. And this was probably the last blue sky picture we had. 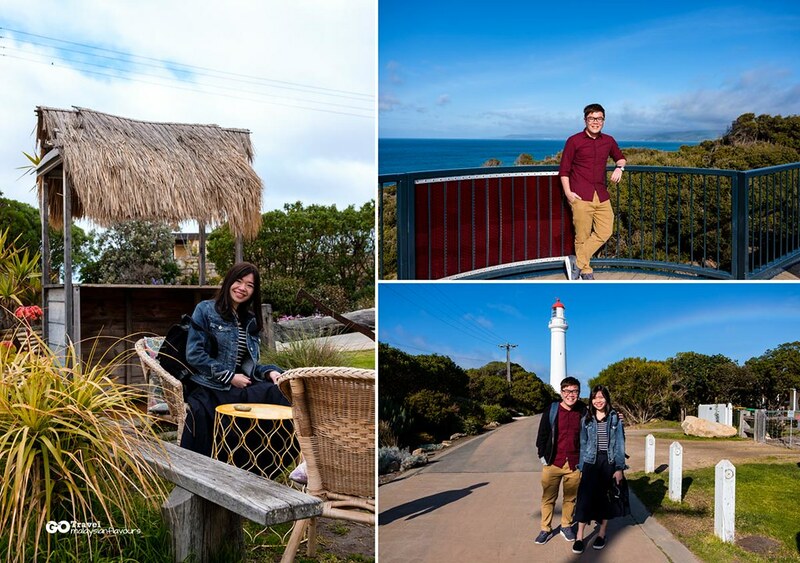 Lunch was at Apollo Bay, midway along the Great Ocean Road, at the foothills of the Otways. 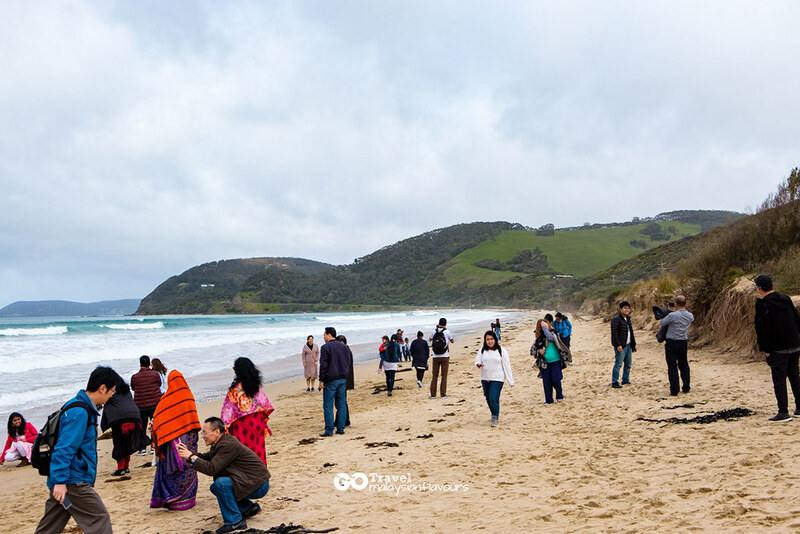 Many says that it is a town where “sea and hills” meet, as it is flourished with nature beauty from both. 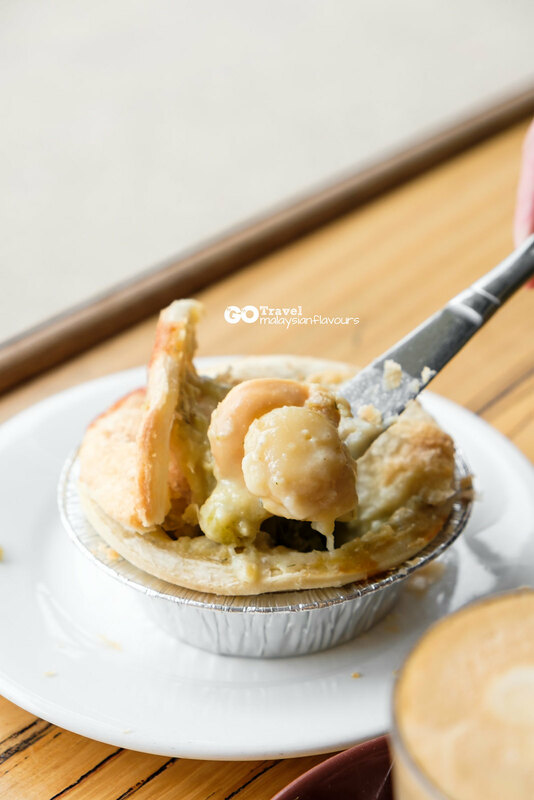 Seafood is the food Apollo Bay famous for, and not to forget, much-talked about ” Scallop Mornay Pie on Great Ocean Road” from Apollo Bay Bakery! 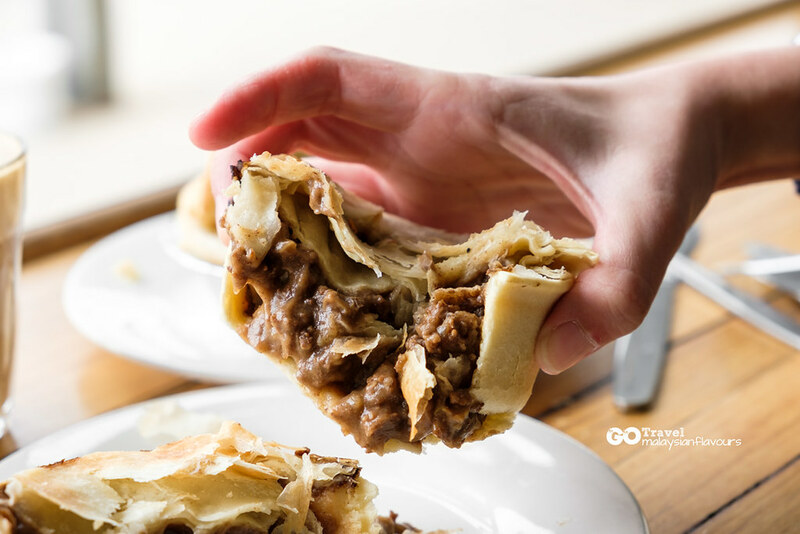 4 whole big, juicy scallop, nestled in rich, creamy sauce, all within a freshly baked, flaky pie! 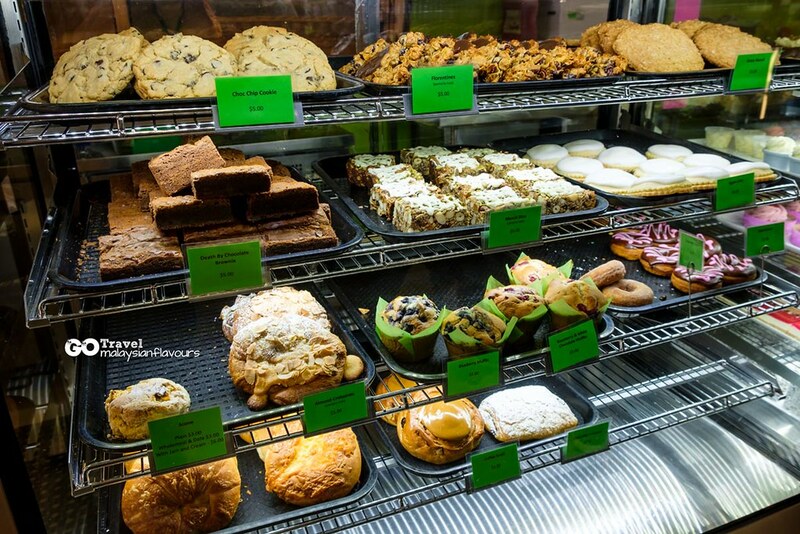 Ohh-so-delicious. 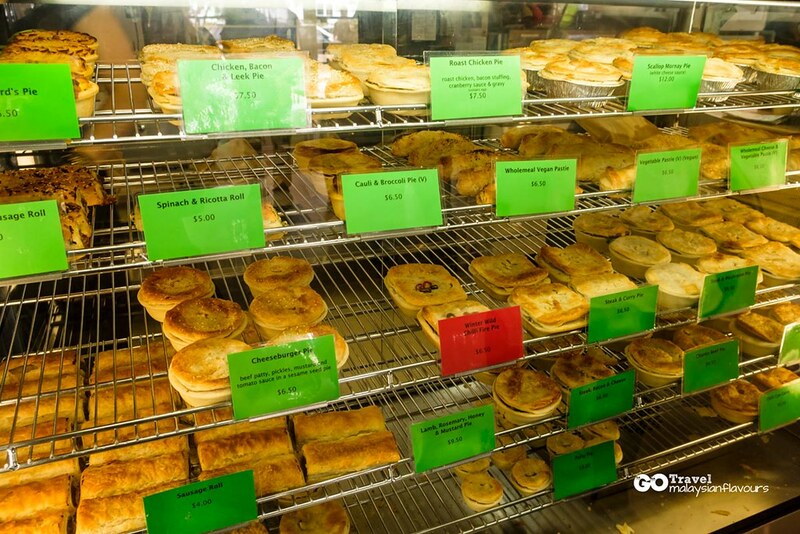 AUD10 per pie. Ordered steak & mushroom pie to share too! Equally tasty within tender, chunky meat in flavourful sauce! Added 2 latte but tasted average. Lol. 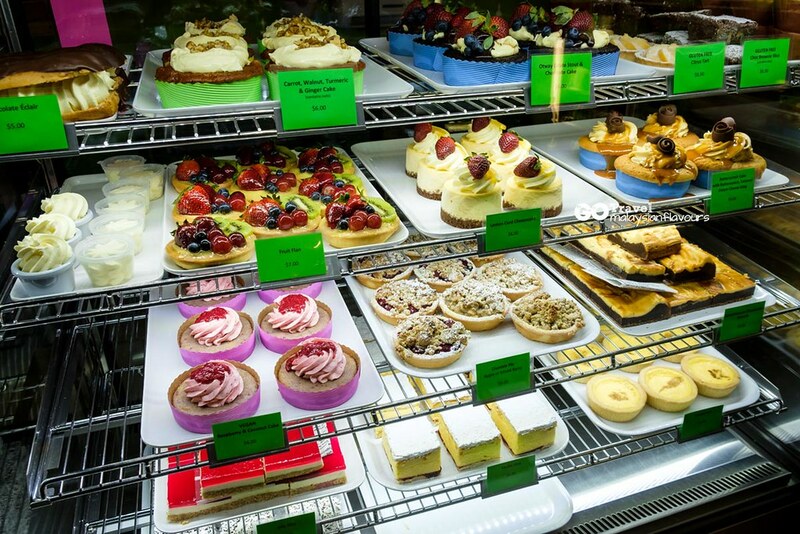 Apollo Bay Bakery menu also has Scallop & Curried Leek Pie, Chicken, Bacon, Leek Pie, Seafood Pie, Spinach & Ricotta Roll, Meat & Vegetable Pie,Peppered Steak Pie, Steak & Onion Pie,etc., and an array of mouth-watering desserts for the sweet tooth! Pie was great, but not the weather. 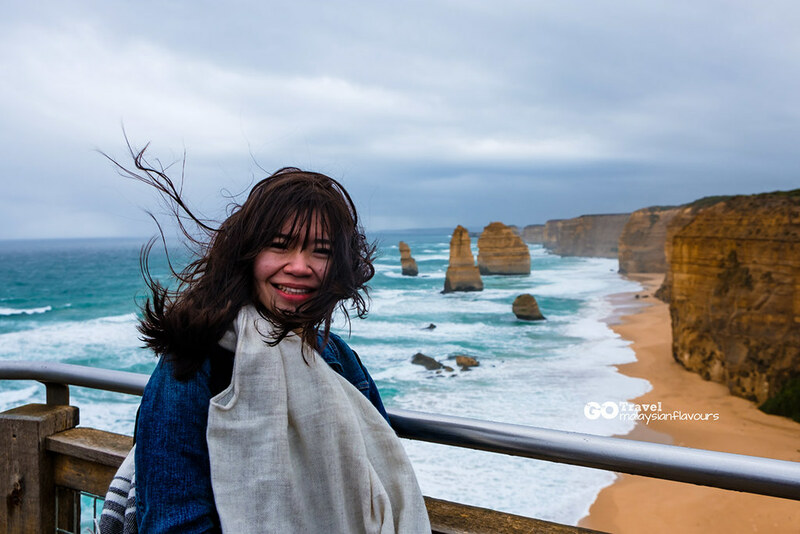 It began raining right after we finished our lunch, and turned bigger as we reached 12 Apostles, one of the top attractions alongside Great Ocean Road. 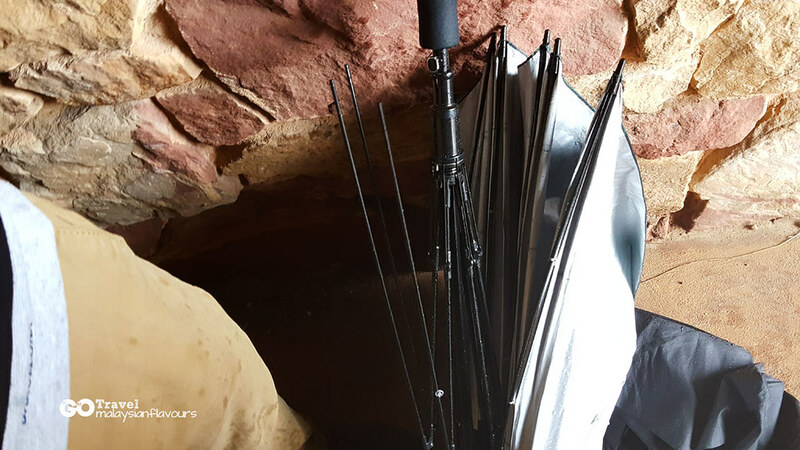 Sudden heavy rain and strong wind, so strong that it blown away our umbrella “canopy”, leaving the frame haha. So cold that we could hardly take proper pictures. Messy hair, wet scarf, but this didn’t stop us from moving forward, because the view was so stunning. It was way much prettier than viewing photos in Google image gallery and from here! 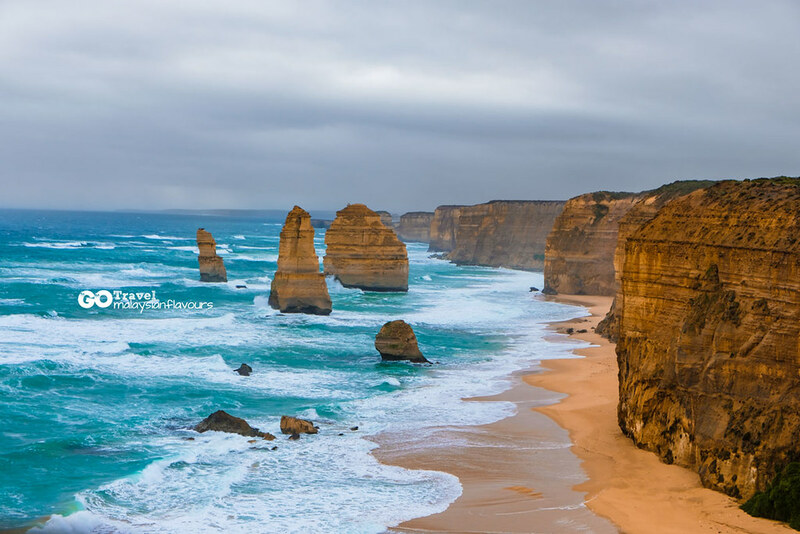 And so what is 12 Apostles? 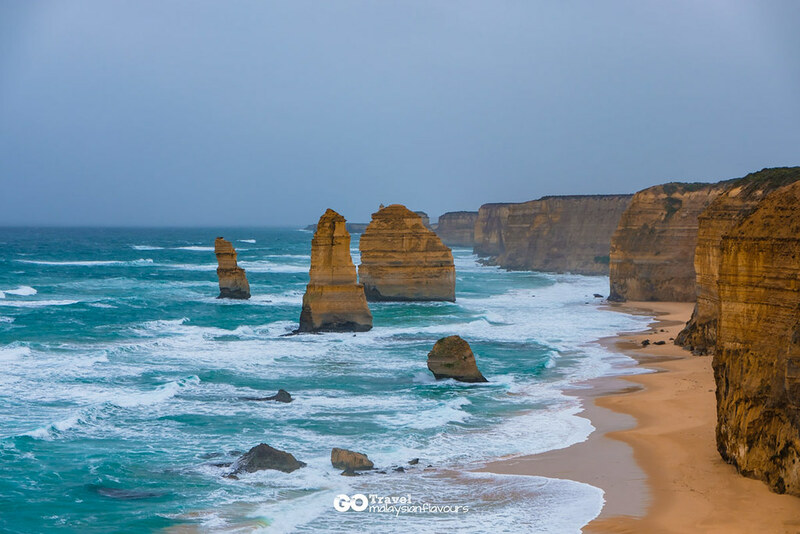 They are actually a group of soft limestone located near Port Campbell Australia, rise above the ocean, and can go up to 45-metres high. 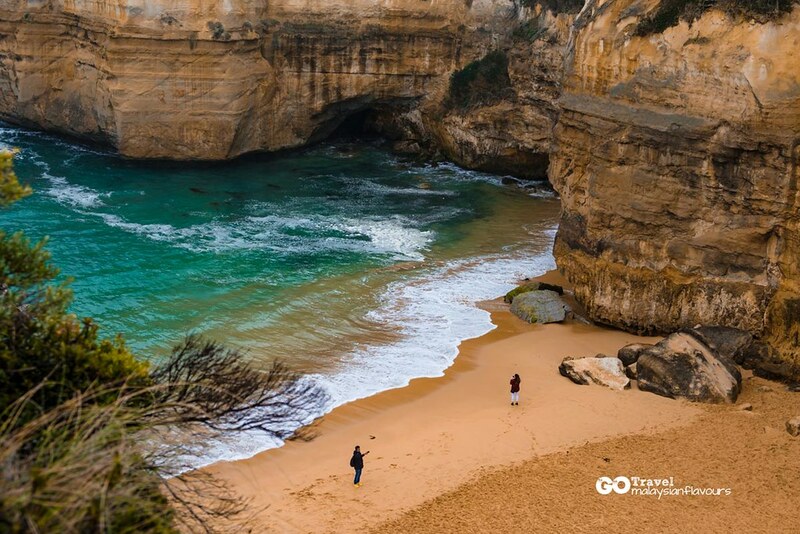 There were once part of the mainland cliff but due to erosion from harsh weather, like wind, rains and crashing of waves, they are partially hollowed out into caves in the cliff. Caves are then eroded into arches, finally collapsed and becoming rocky stacks. 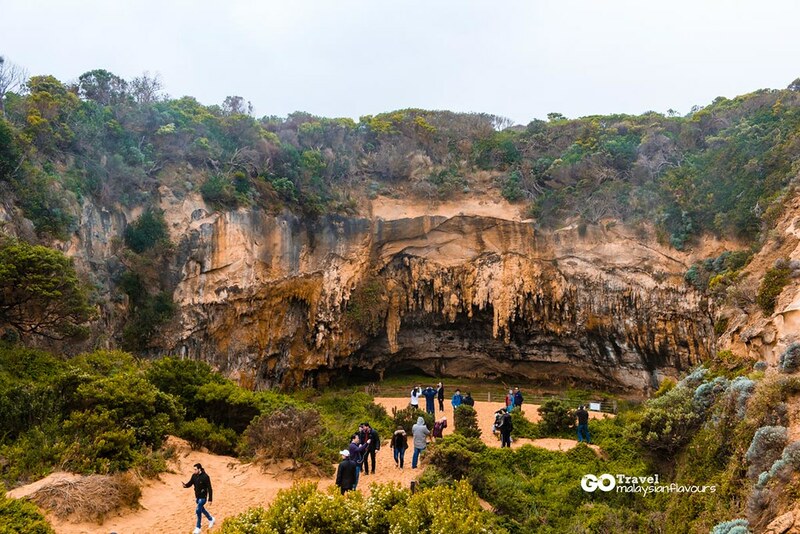 Summarizing our read from Wikipedia about the formation of apostles: Soft limestone -> eroded by the weather -> caves -> more erosion -> arches -> collapsed due to gravity forces and erosion -> 12 Apostles golden rocks. 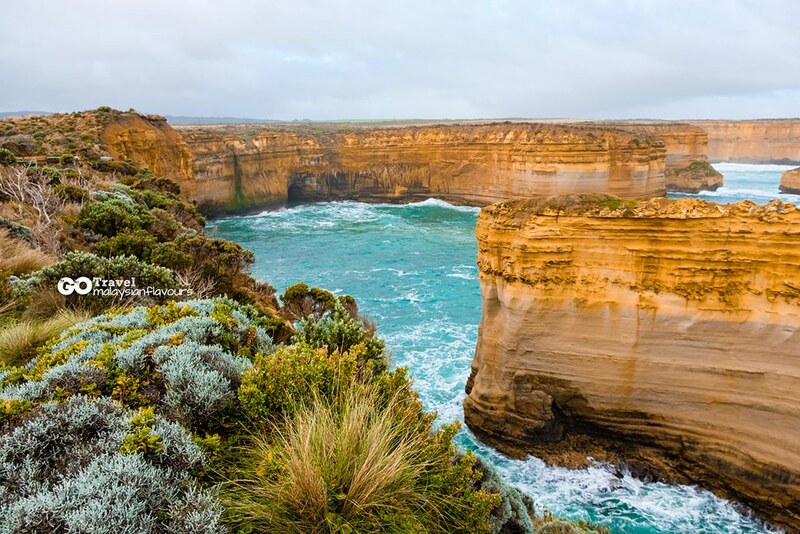 Just few minutes away from 12 Apostles is another well-known attractions, named Lord Ard Gorge. Mr. Tour Guide took the time in between and shared with us the background about this Load Ard Gorge. 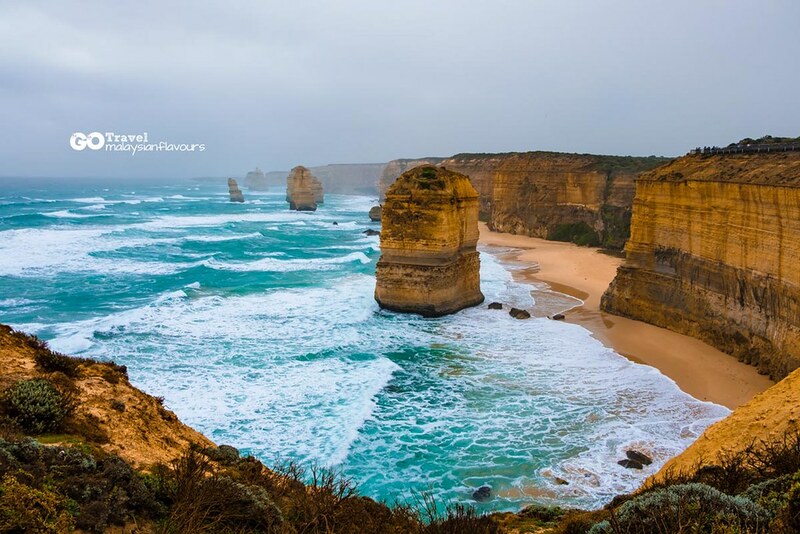 In 1878, Lord Arch ship which travelled from England to Melbourne, ran aground on the island nearby. Only two persons were survived – a man named Pearce and a woman named Eva Carmichael. Pearce climbed out of the gorge and alarmed the local pastoralists for help. They were successfully rescued, and went back to their own country to continue their life. – The end. No love story here. hahaha. The two rock pillars in the centre was initially an archway island, but collapsed in 2009 and became two unconnected part. In memorial to the two survivals of the tragedy, the two pillars are named Pearce and Eva since then. Walked further in and we were welcomed with more amazing rock formation – Razorback. 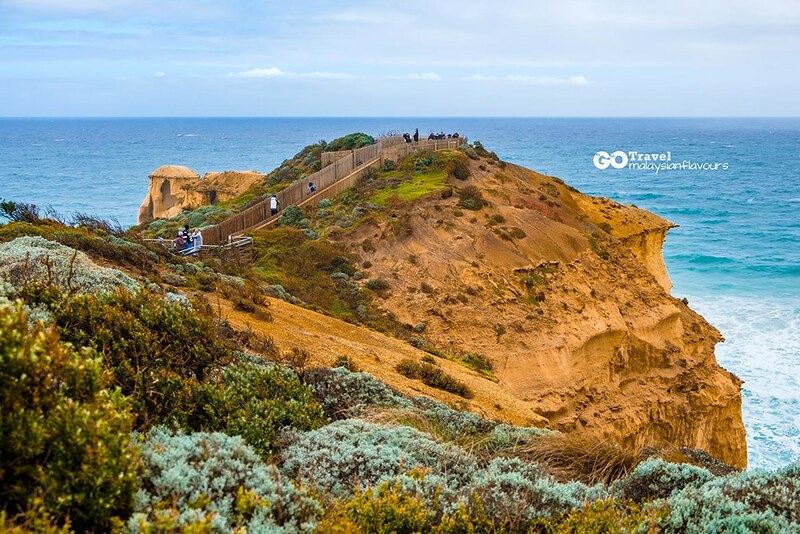 Golden-yellow cliff that looks like tasty siew yoke with crispy crackling skin to us. Lol. Still managed to enjoy ourselves despite the gloomy weather, thanks to the super Insta-worth surrounding. Every where is so nice! It will be a waste for not taking pictures. When the rain turned small, we take few pictures and went back under the umbrella. 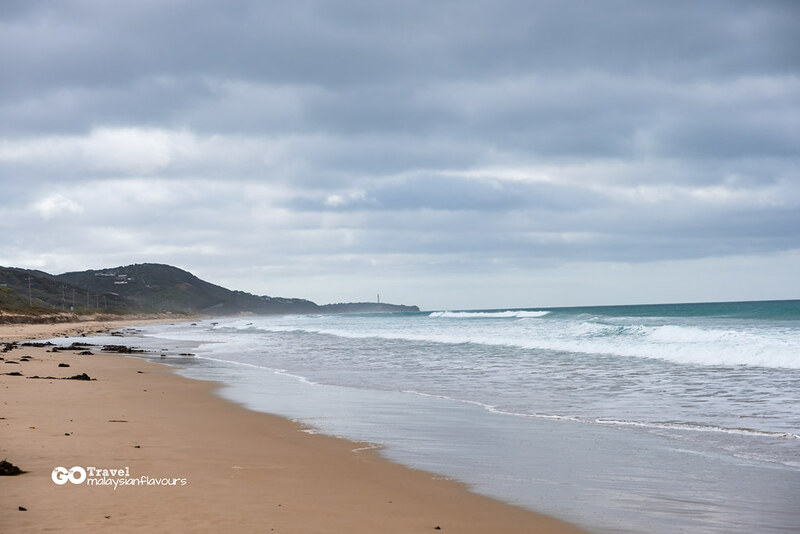 One thing that we felt regretted, is the rain and wind got so strong that we didn’t manage to get down to the beach and take pictures, not to mention romantic stroll along the seaside. 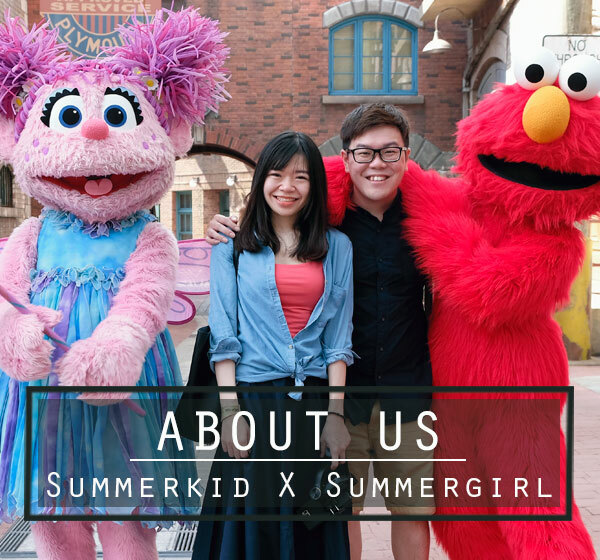 Summergirl was literally shouting out loud once getting back to Melbourne city : I want to go back again! Hahaha. Last stop over of the day, a secret location recommended by our tour guide. Just, as expected, luck wasn’t by our side, no flamingo in side. Quite sad, as we had been waiting for the whole day wanting to see them. But at least, we managed to get this! 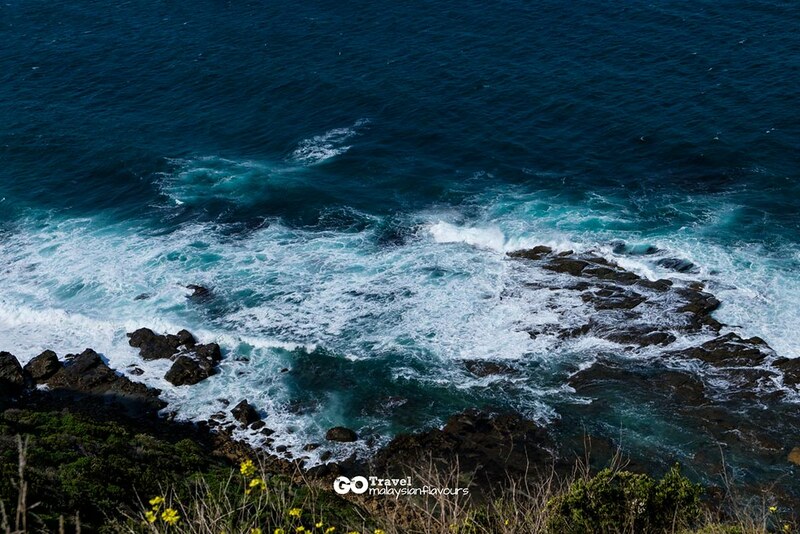 A flock of bird flying gracefully…a nice view to end our tour at Great Ocean Road. We stayed out for about 10 minutes only, as it was getting very cold. Shivering hahaha. Headed back to the city and reached Melbourne CBD around 8PM. Had a sudden craving for ramen so we just search randomly for ramen restaurant with good ratings in Zomato and Google review. 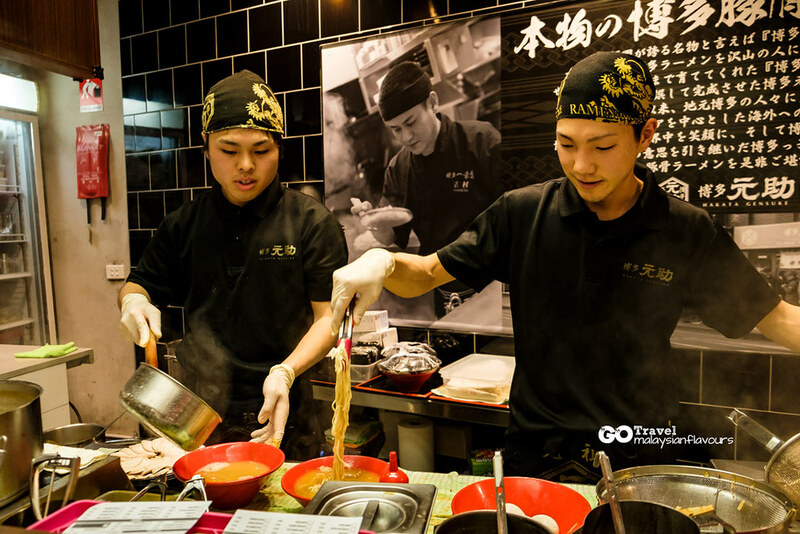 Not a usual practice as we usually know where to eat for breakfast, lunch and dinner when travelling. 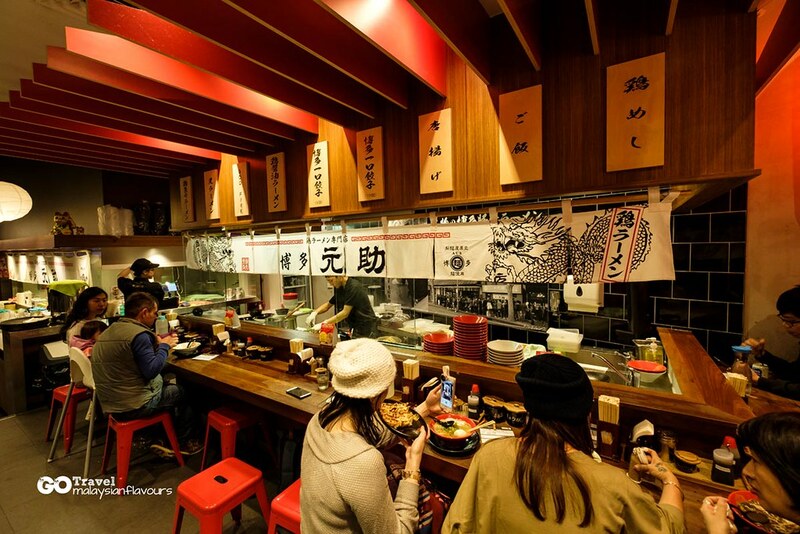 Found this Hakata Gensuke Ramen famous for Hakata Ramen. 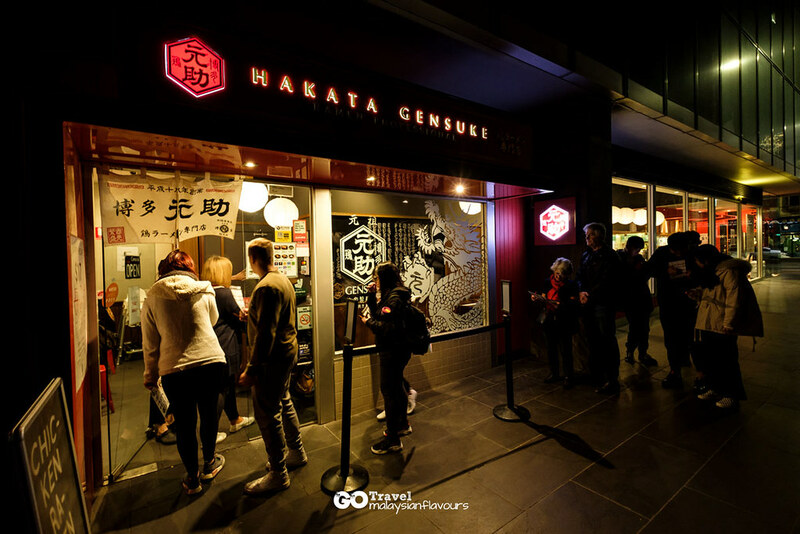 They have two outlets in Melbournce CBD, where one is at QV mall Londsale Street, serving Hakata Ramen in Chicken broth, while the other one along Russell Street, serving Hakata Ramen in Tonkotsu broth, just 300m away. Summerkid ordered Signature Tori Ramen, topped with extra chicken cha-shu, seaweed, and egg; while Summergirl had God Fire Tori Ramen (Level 3). 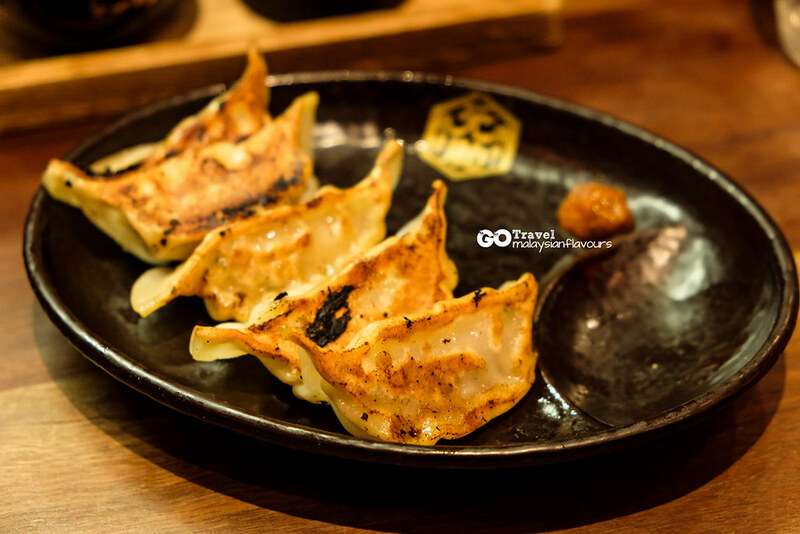 Added a plate of Gyoza for sharing! 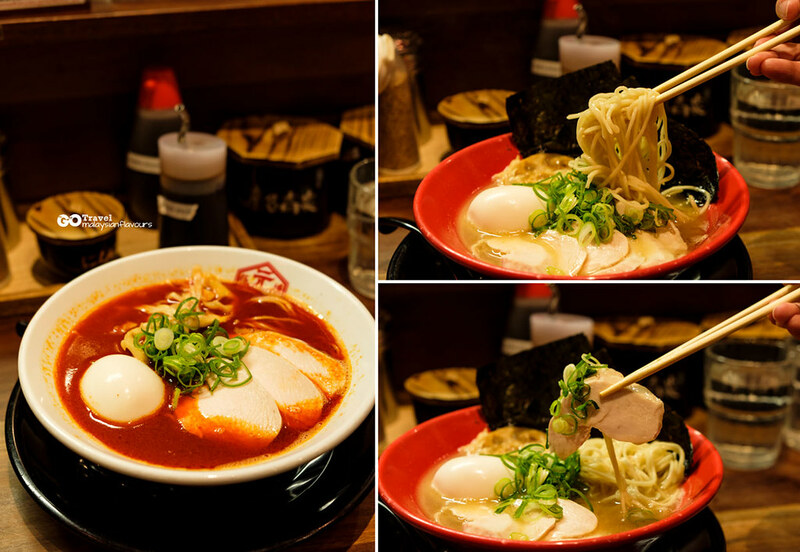 Their God Fire Tori Ramen is really spicy, try to go for level 1 or 2 for more manageable spiciness. Comforting soup, springy ramen, just the food we want. 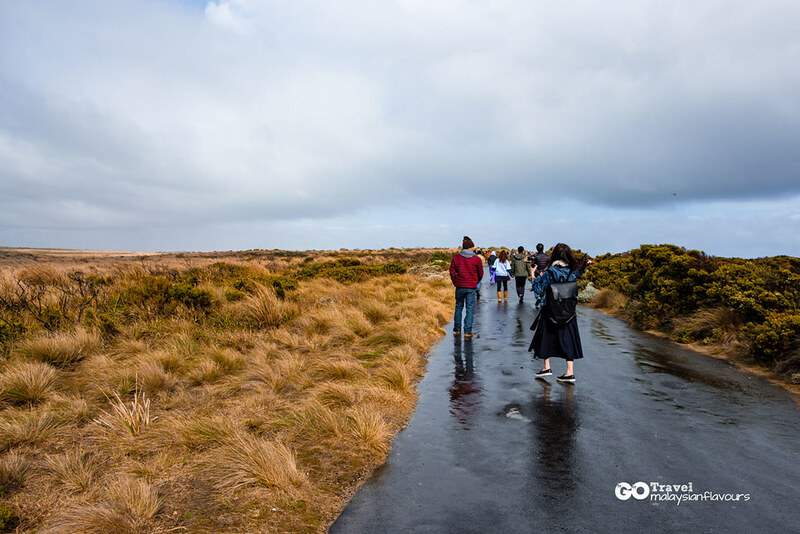 Overall review: It was a really nice trip, and we felt grateful to our tour guide Micheal for being patient all the time, and helped us to take some couple photos without us asking. So nice of him. 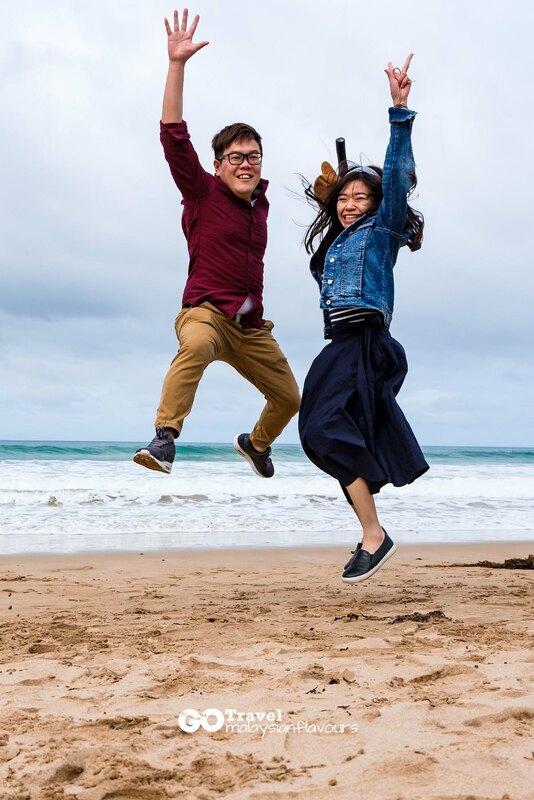 The reason why we book a tour instead of driving, is because we are still a bit phobia from the pre-driving-in-pre-typhoon-weather in Wakayama Japan last year. But after this round, still, we have to admit that self-drive is the best. 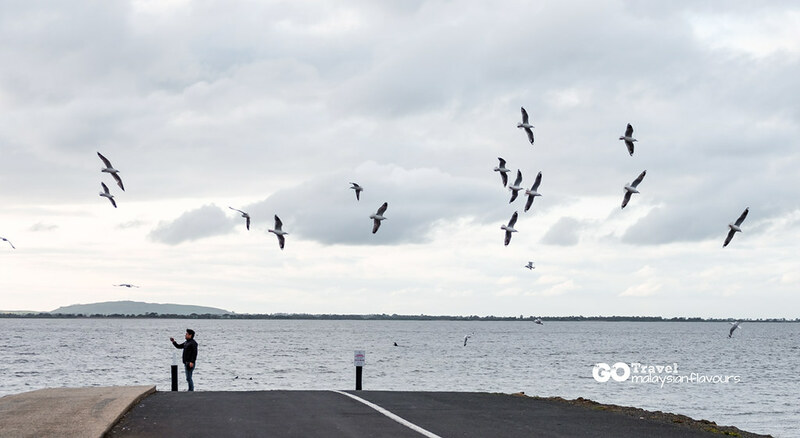 Come with friends so that you can take turns in taking the driver role, and be a passenger to enjoy the view on and off. 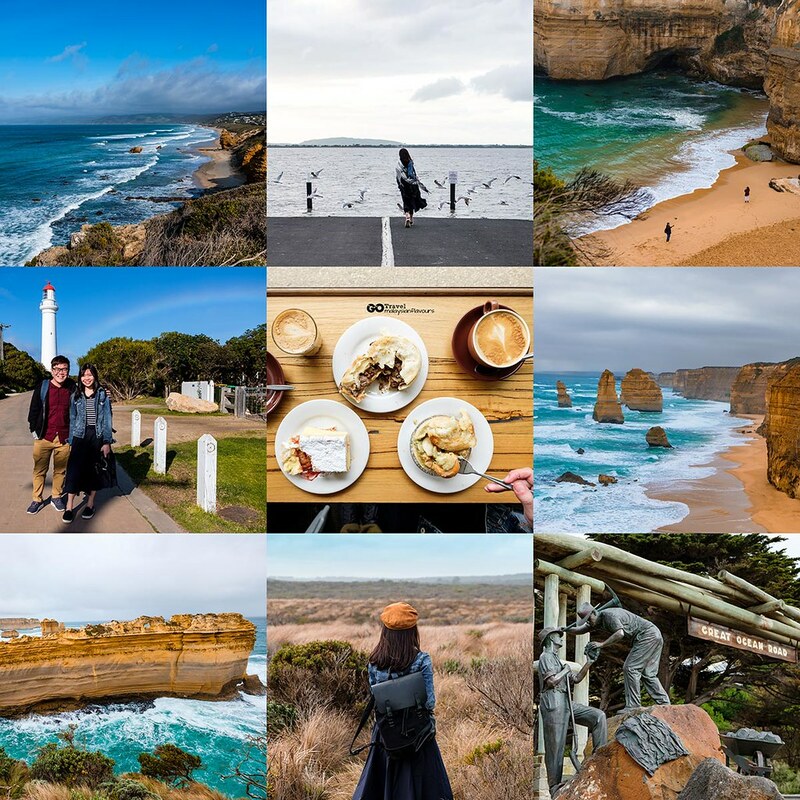 Also, try to go for 2D1N Great Ocean Road trip instead of 1 Day tour. 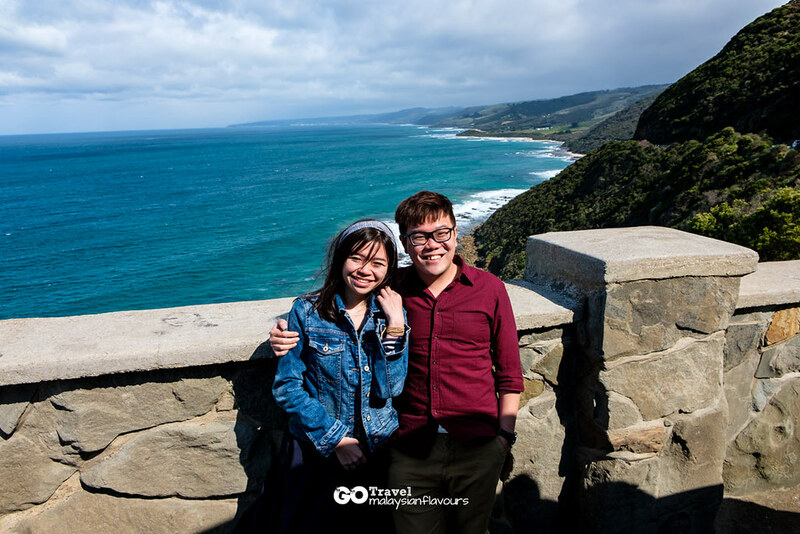 By driving yourself, you can experience better at your own pace, no hurry, no time limitation, stay and admire the beautiful scenery at more stops instead of only places planned by the tour.